The short answer: I’M STILL HERE! The longer answer: I’ve been working on a secret project–so basically writing, researching, and editing my fanny off! Which has meant I’ve had to take a gigantic step back from social media and other events this year. It was either that, or lose the one precious marble I have left. And you best believe, I’m guarding my singular marble like The One Ring. Welcome to YA Scavenger Hunt! I’m Darcy Woods, author of the double RITA® nominated YA contemporary, Summer of Supernovas, and your vintage dress-wearing hostess for this leg of the hunt. 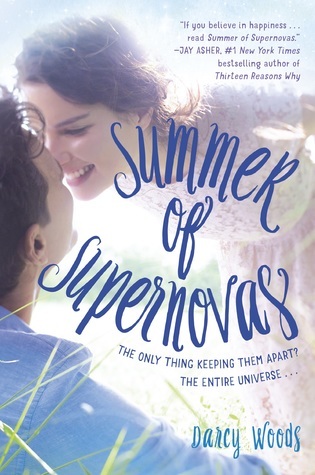 Keep your eyes peeled for my inspiration board (with fun teasers) of Summer of Supernovas as you continue the Pink Team hunt! Go to the YA Scavenger Hunt page to find out all about the hunt. There are FIVE contests going on simultaneously, and you can enter one or all! I’m a part of the PINK TEAM! But there is also a red team, a gold team, a blue team, and a purple team for a chance to win a whole different set of books! see the full list of prizes up for grabs, go to the YA Scavenger Hunt page. Directions: Below, you’ll notice that I’ve listed my favorite number. Collect the favorite numbers of all the authors on the Pink Team, and then add them up (this isn’t a math test so feel free to whip out those calculators!). Entry Form: Once you’ve added up all the numbers, make sure you fill out the form here to officially qualify for the grand prize! Only entries that have the correct number will qualify. Today, I’m terrifically excited to be hosting Courtney Brandt! Ms. Brandt lives in Dubai and writes about marching band and a fictional Queen of England. She also publishes under a pen name, Ann Benjamin, and talks about food as A to Za’atar. Find out more by checking out Courtney’s website! A story of growing up and leading a nation.Set in an alternate universe of London, after the untimely death of Queen Victoria in 1840, recently crowned Juliette faces a mysterious organization. The New World Order threatens her country and claims responsibility for the dirigible accident which killed off much of the aristocracy. Add in distracting romantic entanglements, a gifted unicorn, and tracking down the legendary Excalibur and this teenage Queen has an uphill battle leading to her coronation at Westminster. Will her reign be over before it has a chance to begin?Fans of Gail Carriger, Shanna Swendson, and Gaslamp fantasy won’t want to miss out on this lighthearted YA steampunk adventure.The Queen of England: Coronation is the first book in a trilogy by author Courtney Brandt. Did someone say UNICORNS and YA steampunk adventure? I’m intrigued! Read on for an exclusive peek at a deleted scene! I dressed carefully for my audience in a severe, form-fitting black gown (cut to reveal more of my bosom than I preferred), which I paired not with one of my delicate tiaras or circlets, but with one of the more powerful crowns in the collection. The diamonds demanded respect and attention, and the emeralds sparkled fiercely. I drew the line at wearing a cape (even though Askew had wanted me to “for dramatic effect”), but Pippa found a glorious pelisse of deep purple to complete my ensemble. Although in no way fashionable, I decided to attach Excalibur to my side, and wore the sword proudly. The journey to the Palace of Westminster, currently under construction as the devastating fire from a few years ago had rendered many parts of the building unusable, was not far and did nothing to calm my nerves. Inside the temporary quarters, I was one of the youngest people in the room, but there were a few peers closer to my age than the elder statesmen. There was limited applause, but no cheering. After all, unlike the popularity of Victoria, no one knew quite what to do with me. At these words, there was much hissing and jeering. I was glad for their response—it meant our public relations campaign had been working. While the article about the New World Order was still quite recent, newspapers had pounced on the opportunity. There were all sorts of investigative articles and calls to rid them from our society. Curtseying deeply, I nodded to the group. Turning to walk out, the train of my dress drifted behind me. Let the gauntlet be thrown. This was my country and I wasn’t going to give it up without a fight. If the pestilence was part of Parliament, someone had to know of it. We needed a name, a trial, some form of justice for those who had perished. Hungry for more after that literary snack? You can buy it here! Connect with Courtney on Facebook, Twitter, or Instagram! To enter, you should know how much I love the number 33. Why? Because in elementary school I correctly guessed the number of jelly beans in the jar and won all 33 beans! It’s the only time I ever won anything, so 33 will forever be a favorite. Add up all the favorite numbers of the authors on the Pink team and you’ll have the secret code to enter for the grand prize! To continue on your numerical hunt for a jackpot of books, you’ll want to check out the next author on Pink team, the marvelous Sarah Vance-Tompkins! Happy Friday, ladies & gents! And welcome to my newly “refreshed” website! Sometimes a girl just needs a little change. So when I came up with a cool idea for a new website logo, font, & color scheme, well, I knew EXACTLY who to call to turn my imaginings into reality–Hafsah Faizal of Icey Designs! I’ve had the great fortune of working with Hafsah several times over the years and just adore collaborating with her.♥ Once again, she’s knocked it out of the park! From the vintage typewriter, to the tiny hummingbirds, this site is 100% me. I just love it and hope you do, too! Also, did you see the cutesy little “Subscribe” envelop at the top of the page? That’s right, folks, hell has officially frozen over. Which means I now have a NEWSLETTER! Or more accurately, I will eventually have a newsletter! So if you’d like to be in the circle of know for giveaways, book announcements, and future appearances, please sign up today! And I pinkie swear not to spam you. In fact, I’ll be amazed if I send out more than three a year . . . BUT THINK OF ALL THE KITTY PICS YOU COULD MISS IF YOU DON’T SIGN UP!! !